Process piping fabrication excellence plays a significant role in safe operations for industrial customers that depend on high-quality manufacturing partners. Failure of piping fabrication can result in disaster when dealing with gases under pressure or super-cooled liquids. "We take our responsibility very seriously when it comes to our own workforce's safety as well as that of our customers and the general public," says Kenny Coe, director of sales at Badger Sheet Metal Works. 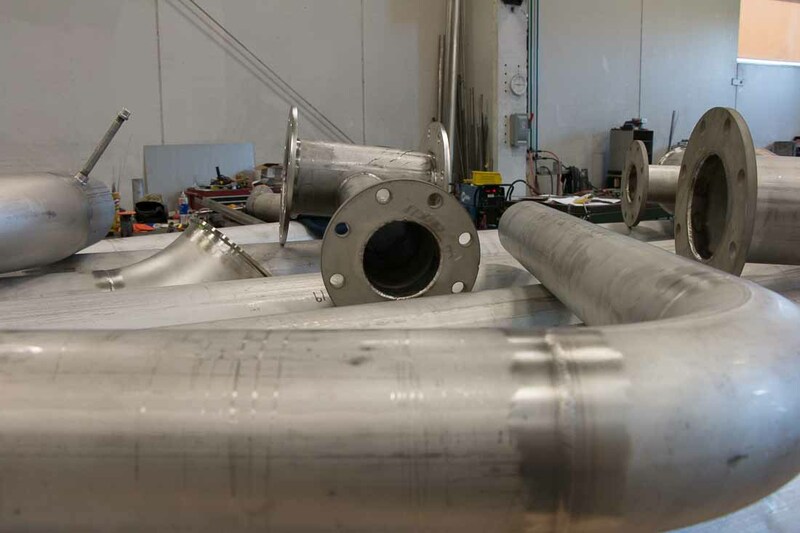 "Whether our customer is an oil and gas equipment manufacturer or a maker of fire suppression systems, they depend on us for process piping fabrication that won't fail." Badger Sheet Metal Works joins forces with customer engineering teams to design process piping fabrication for systems that are appropriate for their specific processes. This can include input on the manufacturability of project aspects that may fall outside of standard fabrication. Badger Sheet Metal Works supplies high-quality custom process piping for a wide range of customers throughout the United States. Originally founded as a sheet metal shop, the company has expanded its product line over the past several decades to include a comprehensive offering of fabrication services. Badger manufactures custom fittings, valves and other in-line components for controlling flow rates, pressure and temperature for process piping fabrication projects. Its experience working with aluminum, steel, brass and other materials provide the flexibility to meet virtually any customer requirement. "Our expansive assembly bay and significant lifting capacity removes size limitations from our fabrication capabilities," Coe explains. "We find it is most effective for customers to consult with our team early in the design process to ensure manufacturability concerns are met prior to initiating the project." Badger Sheet Metal Works is a custom and OEM metal fabrication partner for a wide range of industries including food and dairy, mining, petroleum, material handling, medical and pharmaceutical. The company employs approximately 100 people in a custom-designed plant in Green Bay, Wisconsin. The facility includes a 70 by 320-foot main assembly bay with four crane rails featuring a total lifting capacity of 30 tons and a 22-foot under-hook height. For more information about Badger Sheet Metal Works' process piping fabrication capabilities, call Kenny Coe, director of sales, at (920) 435-8881, or visit https://www.bsmw.com/. View original article on process piping fabrication here.